Who doesn’t love a day out on the water? Whether you’re fishing, skiing, or just soaking up the sun, boating is a popular recreational sport for Floridians of all ages. But what happens when your day in the sun turns to tragedy? An experienced personal injury attorney can intervene on your behalf in such a situation, especially if negligence is a factor. Florida leads the nation in boating accidents, with 671 reported incidents in 2016. Unfortunately, Florida also leads the boating fatality rate, with 52 reported deaths. A 2-boat collision occurred in Fort Lauderdale in May 2017, resulting in at least two serious injuries and other minor injuries. An airboat accident resulted in one fatality and 5 other injuries in the Everglades. A vessel collided with the Midpoint Memorial Bridge killing one child and causing serious injuries to two others on board. The ejection of a man from a boat near Jaycee Park resulted in serious injuries. While the majority of victims are reasonably good swimmers (72 percent), 82 percent of them were not wearing flotation devices. That can be a serious problem when a catastrophe occurs. Distribute the weight in the boat evenly. Don’t suffer in silence. 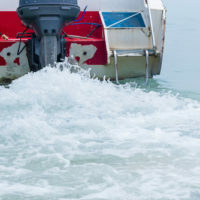 If you or a loved one has incurred serious injuries or property damage in a boating accident due to the negligence of another, let the practiced team at the Law Offices of Robert W. Elton in Daytona and Ormond Beach intervene for you. Contact us today for a free, confidential consultation.